Are you looking for a fresh start in a new home? I can help you achieve that goal. As a certified real estate staging professional I will present your house in its most flattering light, allowing you to receive the best possible value for the least amount of time on the market. My education and experience as a graphic designer adds a new dimension to your staging experience. From the psychology of colour to the placement of that final finishing touch, I will give you the complete package. It's your time to freshen up with Fresh Start Staging Company. 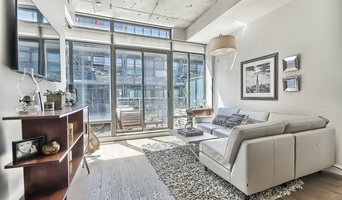 We are doing homestaging in all over GTA for vacant or occupied homes with a vast diversity of furniture styles helping realestates, home owners and builders o sell the property faster and with a higher price. Details Staging + Design combines all of the elements of prepping a home for the Real Estate Market or for personal enjoyment all in one. We take a wholistic approach to designing/ staging/ organizing the home by first consulting with the client about their end goal and then combining all necessary trades to make that happen seamlessly. We integrate elements of design/ colour theory/ space planning/ feng shui and psychology into everything we do, which results in the perfectly executed project that suits each individual client. Simply Home Inc. specializes in providing simple, one-stop solutions for downsizing, decluttering, organizing, estate clearing and staging. If you want to sale your place I will make your space shine and the photos will stand out on the market! If you are tired of the same decor and want to put together the best colours, furniture and objects that match your personality I will find the right choices inside your budget! If you are feeling stocked and want the energy of your home to flow, I will you decluttering and give modern Feng Shui tips to bring changes for your life! 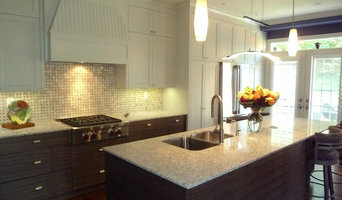 Whynot Home Staging and Design Ltd.
Strategize. Personalize. Visualize. What is home staging? Home staging is a branch of the design industry and prepares a private residence for sale in the real estate marketplace. The service is designed to create a positive first impression for potential buyers. Home staging is like a cosmetic makeover for a home, sometimes involving the removal of lived-in furniture, painting over walls with neutral colours and adding eye-catching aesthetics. A professional home staging service is designed to: Highlight finer features of each space in a home. Create mass appeal & the most number of potential buyers. Sell a home faster and for more money Staging techniques transform a home into a welcoming, attractive commodity. Using a variety of accessories and furniture, strategic planning, a customized floor plan, and a detailed furniture layout makes it appealing to buyers. About Our Services VACANT HOME or OCCUPIED STAGING: Involves Scope of work assessment, manage and co-ordinate third-party services or trades needed for staging project. Space planning, sourcing and facilitating furniture rental, accessory rentals, and placement of all accessories and wall art/wall decoration, managing and co-ordinating trades and services to complete your staging project and de-staging. STAGING ANALYSIS ASSESSMENT: This service is designed for those who wish to take on the task of staging their own home but need recommendations from a fresh eye, and includes a detailed written report on how to get your home market ready. COLOUR CONSULTING: Involves the selection of colour schemes that enhance all living spaces. This service includes a colour analysis report, selection of paints colours and finishes and a discount from our highly recommended paint suppliers. MISCELLANEOUS – Moving or Staying? Redesign /Interior Decorating: Is ideal for any home or Condo owner who wishes to update their personal living space, this includes the selection of furniture, flooring, wall coverings, accessories, and colours that reflect their personality and tastes. Ambiance Home Staging is a full service staging company. Our professionally trained staff know how to present properties that will showcase its best features. Staging is a proven exercise that helps sell homes faster and for more money. You only get one chance to make a great first impression! Let us help you transform your space. We are a full service boutique Home Staging firm that specializes in occupied properties. We work closely with Property owners and Realtors in Toronto, Mississauga, and Brampton. Home Staging, credibility within your local market who are seeking for a necessary solution. Our expertise is in demand by a diverse clientele from homeowners, real estate agents, to developers and more. Whether individuals are a developer, real estate representative, homeowner or continuing their journey, home staging course helps you achieve your goal. 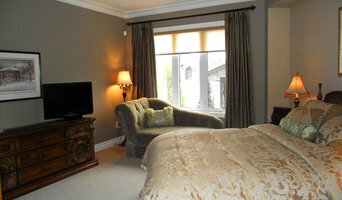 Our staging skills also focus on the business aspects required for creating and maintaining, a successful home showing. Nest Home Staging and Redesign is proud to provide top quality home staging services in the Greater Toronto Area. We are dedicated to our clients and work hard to maximize the potential of their homes so they get top dollar for their listing!